Women breaking the CIO mold and expecting gender equality to be top of mind for every CEO. A recent study from Korn Ferry Institute, reported in the largest companies in the US. 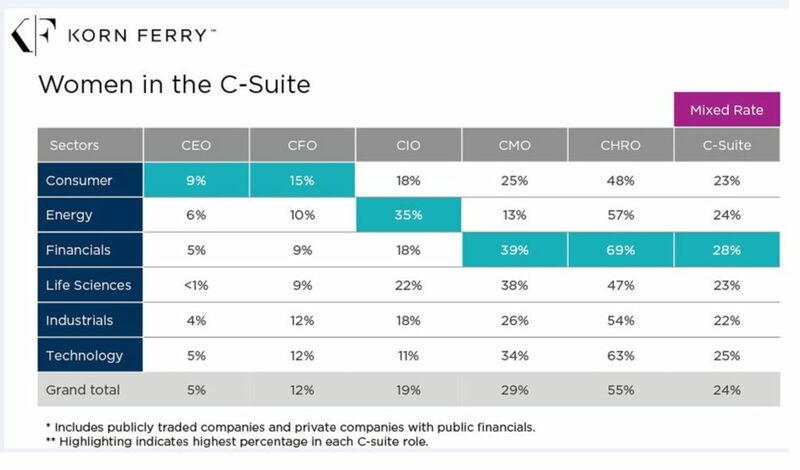 only 24 percent of those in C-suite roles were women. The role of chief information officer (CIO), dropped to 19 percent. “Having gender equality in the CIO role is already top of mind for CEOs and boards. We expect this focus to continue for years to come as the CIO creates greater strategic impact across organizations,” said Craig Stephenson from Korn Ferry. Singling out Fortune 500 companies, Boardoom Insiders found an even smaller female CIO headcount of 15 percent as of November 2016. However, the top 100 of these companies manage to hit 20 percent, which aligns with other research indicating that companies with gender-diverse leadership prove to be more profitable. These studies and more like them have ensured more focus is being paid to closing the gender gap in business leadership, putting diversity on the boardroom agenda.